It’s been a while. The last post I wrote on this blog was in November 2016, at the end of a crazy year and the beginning of an even crazier saga in modern history. A lot has changed in that year and a half. I am 18 years old now, legally an adult. I live and train at a tennis academy in Greenville, South Carolina, where I’ve made some really good friends while learning a lot about life in general. I’ll be heading back to my birth county in New Jersey in a few months to play tennis for Monmouth University, where I will also study for a degree in Marine and Environmental Biology and Policy. I created this blog when I was 11 years old, soon after learning about the vaquita and its decline. It was a way for me to share the plight of a beautiful little animal, as well as express myself to people other than my family. It was truly an exhilarating time for me. I posted anything I could find or create about the vaquita; facts, poems, drawings, news. Over time, it grew, and I became partners with many incredible people in all facets of life. From the Muskwa Club, Viva Vaquita, and many other conservation groups, to authors, filmmakers, passionate citizens, and even government officials, I began to learn that this issue had a much wider reach than I expected. People cared about the vaquita, and this public sentiment grew substantially in the years following the conception of V-log. And as the vaquita’s fame grew, so did my optimism. I saw what passion and teamwork could do. 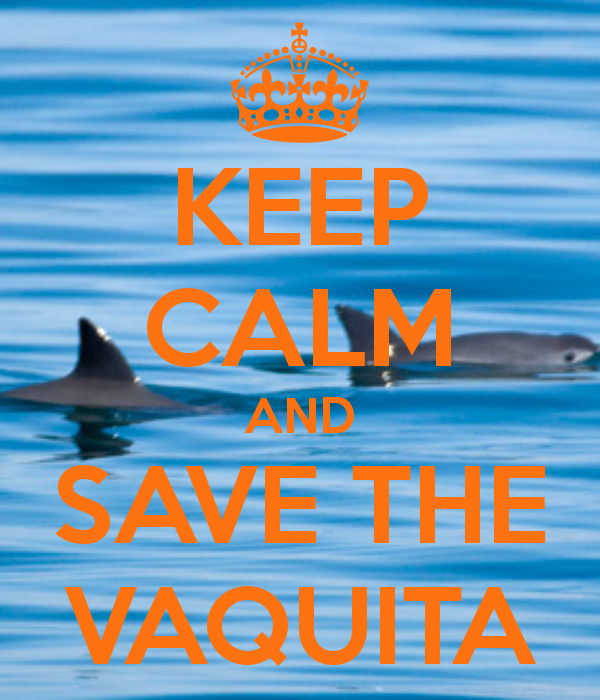 We started International Save the Vaquita Day. Millions of people were educated, between the websites, books, social media, ISTVD, and the countless articles and news segments about this animal. 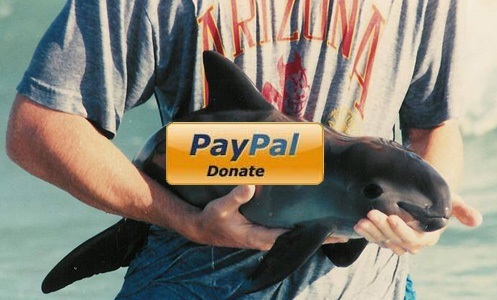 I felt my responsibility to share the vaquita’s story lessen as more and more people heard it. The gillnet ban was even made permanent. In a way, it almost felt like it was mission accomplished. But I had entered a world more complex than anyone could have imagined, let alone a child. The story of the vaquita was not what it seemed from an outsider’s perspective. And perhaps the irony of it all is that I still have no clue what is really happening. I’m not sure if any one person knows the entirety of the situation. The recent estimates put the vaquita population at fewer than 30 individuals, possibly much fewer. Illegal gillnet fishing continues at a high level. The lucrative totoaba trade thrives. A desperate effort to capture and safely breed vaquitas ended in the worst way possible: the death of a mature female vaquita. It is extremely difficult to remain optimistic as you learn more and more about the deep, dark truth of what is happening on the water and behind closed government doors, despite the best efforts of conservationists there and around the world. From an analytical perspective, the vaquita needs an unprecedented miracle. Yet, I still have hope. I am 18 years old. I see a world around me at a crossroads in time. I believe these next few years are going to change the world forever. Slowly but surely, around the globe, people are beginning to see what we have done to the planet. Plastic fills the oceans. Species are disappearing. Warming climates are wreaking havoc on land and marine ecosystems, even strengthening natural disasters that are already affecting humanity. In the relative fraction of time we have been on this planet, we’ve doused it with gasoline and struck a match. However, we haven’t thrown down the match yet. I believe we still have time to blow it out. This next brief moment in history will see the end of many ancient ways of thinking as citizens and governments decide which side of history they would like to be on. It is simply not an option to continue down the path we have created. Humanity will go extinct if we do. Sustainability is the future, because without it, we are going to be just another lost species in Earth’s history as new ecosystems evolve and erase all traces of life as we know it. That idea actually sounds poetic and relaxing in a strange way, but that is because I omitted the few hundred years in between now and our theoretical extinction where human and animal life would descend into a miserable world as more species go extinct while the human population balloons to a level that is not even close to sustainable before storms, heat waves, air pollution, droughts, and diseases spell the end of us. I don’t know about anyone else, but I’d much rather see us stop that trend while we still can by peacefully coexisting with nature. Forgive me for the apocalyptic rhetoric. I am only using such bold, dark imagery because I know that it is not inevitable and that we still have time to save the planet and ourselves. I firmly believe that we as a species will fully realize what needs to be done and act accordingly, even if it is for selfish reasons. It is ridiculously easy to forget about the problems in the world while we go about our daily lives, especially those of us in first world countries. The extinction of humanity seems unfathomable when you look around at what we have created. However, we are already in the middle of the sixth mass extinction, and we are not excluded from it. Every part of the apocalyptic scenario I laid out is already happening to some extent. It’s not science fiction, it’s science. And it could get much worse. If we wait, every human alive will witness these things firsthand, but it will be too late by then. We need to heed scientists’ desperate warnings and act now. I am no longer the naive child that created V-log, and I no longer see the world as somewhere that is only good. However, I am still the same person who believes that it is our duty protect the planet, and the same person who truly believes that we will. It is not going to be nearly as easy as I thought when I was 11, and it’s probably going to be a lot harder than I think it is now. But we don’t have a choice. My generation and the ones that come after mine have decades and centuries of life left to live on this planet, and we want to do it in a world that is even better than the one we currently live in. That brings me back to the vaquita. This precious species has been nearly destroyed by the same traits in humanity that are causing every other problem: ignorance, apathy, corruption, and greed. Deep down, we all have to personally fight these urges in some way every day. Now we need to fight them on a bigger scale. How many more examples do we need of what not to do? Why should the vaquita be just another species that goes extinct before we finally realize that we need to change? 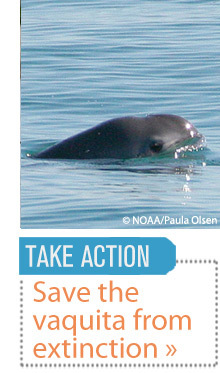 Let’s start right now by saving the vaquita. We don’t have to accept their fate. There are still vaquitas out there swimming right now, and it would be an unforgivable travesty to give up on them in the critical moment. I don’t know what it will take, but we need to find a way to stop the extinction of the vaquita. Ask yourself, which side of history would you like to be on? The revolution needs to start now, and you and I need to be a part of it. 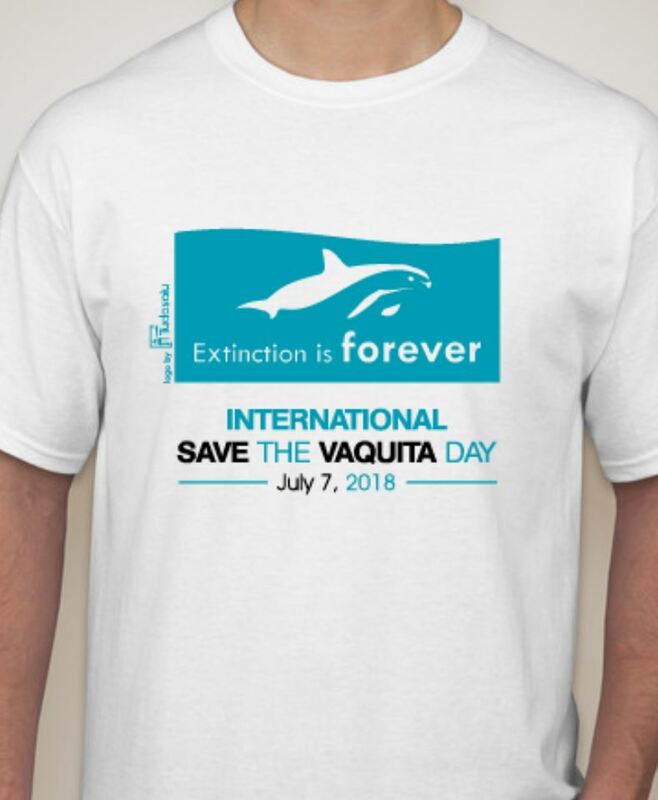 Something you can do right now is to purchase an official International Save the Vaquita Day 2018 shirt here: https://www.customink.com/fundraising/istvd2018. All proceeds go to the Muskwa Club’s efforts to save the vaquita and make the world a better place. 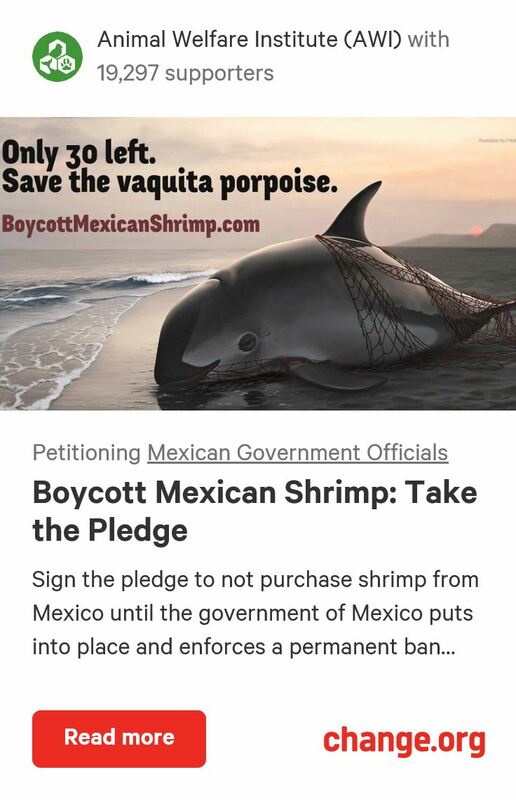 Also, please sign this petition and pledge to avoid shrimp from Mexico: https://www.change.org/p/boycott-mexican-shrimp-take-the-pledge. We need to show that we will not accept lackluster enforcement of the gillnet ban. CITES agrees to protect vaquita! The Convention on International Trade in Endangered Species (CITES) has just announced a plan to end totoaba poaching in order to save the vaquita. CITES is an agreement between 183 nations with the goal of eliminating the threat of international wildlife trade. The convention, which is currently in session in Johannesburg, South Africa, has urged Mexico, the United States, and China to cooperate to end the totoaba trade and therefore save the vaquita. Here is a quote from the Washington Post article about the new agreement (link to article at bottom of post). “Mexico is where they are caught. The United States is often where totoaba bladders, called maw, are trucked to ports. China is their final destination. CITES, as the convention is known, told the three governments to do a better job of sharing police information on seizures and busts to catch more criminals. Though both the totoaba and vaquita were already getting the strongest protections under CITES, member nations meeting in Johannesburg decided Thursday that greater measures were needed. Their new directive placed the weight of saving the vaquita on the backs of the three nations. They are “parties that are range, transit or consumer countries of totoaba,” said Zak Smith, a senior attorney for the Natural Resources Defense Council who attended the meeting. This is wonderful news, and adds yet another layer of pressure on these three nations to carry out their promises to save the vaquita by ending the totoaba trade. But as always, agreements on paper do not always translate into action. We need to keep the pressure on to make sure all three nations, with the support of the rest of the world, actually do what is necessary to combat the incredibly destructive and unnecessary totoaba swim bladder trade and save the precious vaquita from the eternal grip of extinction. Here is an article from Thursday by Zak Smith of the Natural Resources Defense Council (link at bottom). “Exciting news out of South Africa! Today, the world committed to help save the vaquita at the Convention on International Trade in Endangered Species (CITES). Parties agreed to crack down on trafficking in a fish species, the totoaba, which is wiping out the vaquita. The vaquita get caught and drown in gillnets used to catch totoaba. It is a sad reality that the illegal trade in one CITES protected species, the totoaba, will cause the extinction of another CITES protected species, the vaquita, within 5 years if current trends continue. 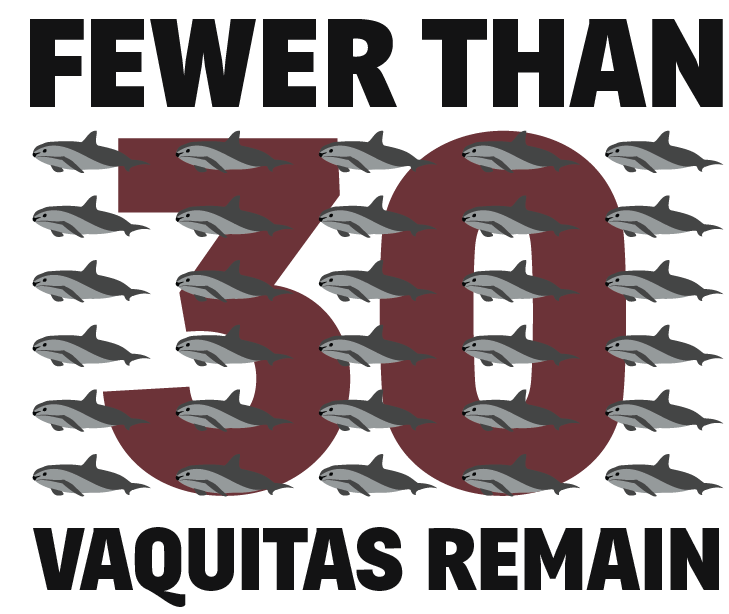 Now, with fewer than 60 vaquita remaining, there is simply no margin for error. As I write this, governments from around the world are discussing the fate of many species at the 17th meeting of the CITES Conference of the Parties in Johannesburg, South Africa. In most instances, the Parties are finding comfort in knowing that, if proper steps are taken, we have time to reverse destructive trends. But for the vaquita, time is no longer a resource. While well intentioned, prior efforts were too timid, allowed to lapse, and in some cases undermined by unscrupulous stakeholders. In recent years, Mexico has taken important steps, including increased enforcement to combat totoaba trade. And earlier this year the United States and China committed to combat the trade at the U.S. and China strategic and economic dialogue. But more must be done. The gillnet ban is permanent! Every type of gillnet is permanently banned in the vaquita’s range. There will never again be a legal gillnet in the upper Gulf of California. You can read the entire press release here, which contains other announcements not related to the vaquita. This is a major victory. In fact, it is probably the most important event in vaquita conservation history. We have been tirelessly working towards a permanent ban for years, and that hard work has paid off. The petition (which garnered over 96,000 signatures), International Save the Vaquita Day (which directly educated thousands of people all over the world less than two weeks ago), overwhelming news and press coverage (including a full-length 60 Minutes segment), and extensive social media awareness across every platform all played a huge part in showing the government that we truly do care about the vaquita’s existence. However, it is not that simple. The vaquita is not saved just because of this ban. As with any law, it is only as effective as its enforcement. Legal fishermen need to be fully compensated. Vaquita-safe nets need to be developed and implemented. Nighttime poachers needs to be stopped and punished. Totoaba swim bladder demand needs to be removed. Enforcement needs to be stronger than ever. To what degree will enforcement of the ban be improved? Will there be regular nighttime patrols conducted by the Navy? Will the compensation program be extended? Will a significant effort be put forth to end the rampant corruption associated with the current compensation program? Will fisherman in the region be provided with alternative fishing gear free of cost? Will there be a training program to teach fisherman how to use this new fishing gear? Does this mean that the corvina fishery, which utilizes gillnets but was allowed under the current ban, will be stopped? One of these problems is that because the ban on gillnet fishing has been effectively enforced, yet the compensation system is corrupt, fishermen are forced to find a new way to make money. Unfortunately, that way of making money just so happens to be nighttime totoaba poaching, which is the most dangerous fishing of all for the vaquita. This permanent ban could very well increase totoaba poaching to a more rampant level than ever before if the compensation and nighttime enforcement issues are not fixed quickly and thoroughly. As I have always said (and probably always will say), our work to save the vaquita is not done. However, this new ban could be a turning point for the species. It shows that our hard work is paying off, and that the government really does care about the vaquita. That is a winning combination, and as long as we keep the pressure on the government to follow through with all the steps necessary to save this species, no matter how difficult, the outcome will be vaquitas swimming around safely and happily in the beautiful Gulf of California for generations to come. Today is cause for momentary celebration before we get back to work! Buckle up! International Save the Vaquita Day 2016 is THIS Saturday, July 9! This year is going to be bigger than ever, and we will have venues all over the world. Click the link below to learn more about the event and see a list of venues (there may be even more venues that have yet to be confirmed). Find a table near you and join the excitement! 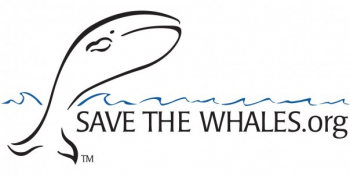 The event will kick off tomorrow morning, July 7, in Washington, D.C. at the Mexican Embassy, where conservationists will meet with government officials to present the success of the petition that is asking to make the gillnet ban permanent (https://www.change.org/p/make-the-gillnet-ban-permanent-to-save-the-vaquita). In a very welcome twist of fate, this month’s headline is the exact opposite. From April 11 to 14, Drs. Barbara Taylor and Jay Barlow joined the crew of the Sea Shepherd M/Y Farley Mowat. Their goal was to spot Vaquitas, and they accomplished this goal in a big way. Between April 12 and 13, they spotted three separate Vaquitas, igniting even more optimism and hope for the future of this species. However, these three individuals were seen in areas that are known to currently host rampant illegal fishing activity. 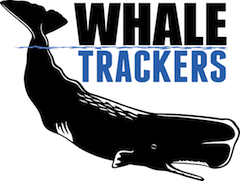 Sea Shepherd also used a drone to spot poachers using a gillnet at night. The fishermen quickly fled (their location was relayed to the Mexican Navy) and left their net behind, which Sea Shepherd retrieved from the water. Two scalloped hammerhead sharks and four cownose rays were already entangled, and unfortunately, the endangered hammerheads could not be saved. Since January, Sea Shepherd has removed 40 illegal gillnets and 13 longlines from the Vaquita’s range. 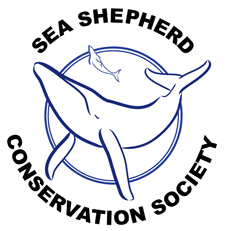 Sadly, Sea Shepherd is departing from the Gulf of California in the first week of May. They will be arriving in San Diego on May 6, and we would like to give them a global “thank you” celebration for all of the amazing work they have done, and to show them that their efforts in the northern Gulf are highly appreciated (and desired again in the very near future). More updates to come on this. From May 10 to 14, the 7th meeting of CIRVA, the International Committee for the Recovery of the Vaquita, will take place. The focus of this meeting will be the publication of the latest population estimate, based on acoustic surveys and the fall 2015 expedition. A new course of action will be discussed based on this new estimate, and we all hope that the number is higher than expected/feared. Regardless of the new population estimate, we will continue our efforts will full force. Our main goal is for the Mexican government to agree to our petition to make the gillnet ban permanent, and we can’t accomplish this without your help. Please sign and share this petition. For the Vaquita. A Vaquita conservationist’s biggest fear is the death of one of these magnificent creatures. This month, we are living the nightmare. Three dead Vaquitas have been found in the past few weeks. March madness indeed. Based on lacerations found during the autopsies, it is apparent that gillnet entanglement is the likely cause of death for these animals. Of course, this means that there is still illegal fishing happening, and that said fishing is killing Vaquitas, a species that cannot afford to lose even one individual. The mortality rate of Vaquitas needs to be zero. For this to happen, enforcement needs to be stepped up permanently, fishing communities need to be educated and aided with sustainable fishing, and Totoaba swim bladder demand in Asia needs to be reduced. Thanks to a much-needed increase in enforcement (by both the government and NGOs) in the past year, it is not too late to save the Vaquita. However, it is awfully close to it. We need to make sure that they stand behind these words. On the human side of the effort, things are much better than they were a few years ago, but the Vaquita is still just a death or two away from eternal doom. Now isn’t the time to be casual or lax. Now is the time to act decisively.